Excellent First Time Buy Opportunity, No Chain. Energy Efficiency Rating: 36 (F). 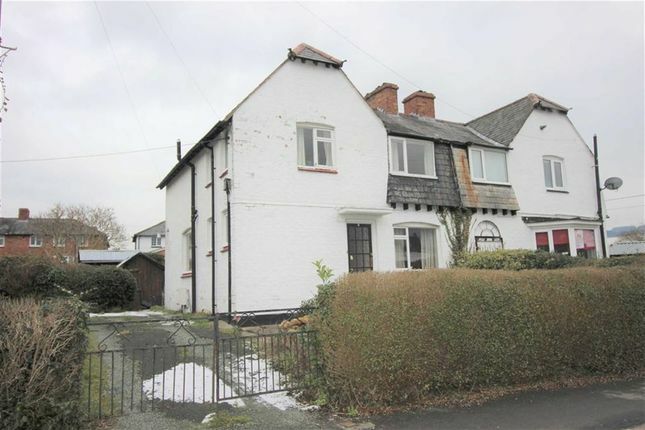 A Conveniently Situated End Link Family House, Requiring Extensive Modernisation and Upgrading, Deceptively Spacious 3 Bedroom Accommodation, Generous Garden Plot and Private Driveway, Excellent First Time Buy Opportunity, No Chain. Energy Efficiency Rating: 36 (F). 6 Erw Wen is a deceptively spacious family house requiring a scheme of extensive modernisation and upgrading works, offered for sale with no forward chain. The property is built of brick beneath a pitched slate roof which has accommodation over 2 floors with gas central heating. Conveniently located in a popular residential locality the property would make an ideal first time buy with great potential for improvement. Welshpool High School and the convenience stores are within a short walking distance. Ceiling light point, understairs store, walk-in cloakroom with coat hooks, obscured glazed window to the side. Radiator, 3 branch ceiling light, window to the front. Gas fire with tiled hearth and back boiler, radiator, ceiling light point, window to the rear. Fitted wall and base units, together with drawer unit, laminate work tops, tiled surrounds, stainless steel single drainer sink unit, radiator, ceiling light point, 2 windows to the side. Ceiling light point, loft hatch, window to the front. With slatted shelves, obscured glazed window to the side. Radiator, pendant light, window to the front. Radiator, pendant light, window to the rear. Airing Cupboard housing the hot water storage cylinder. Radiator, pendant light, window to the rear. 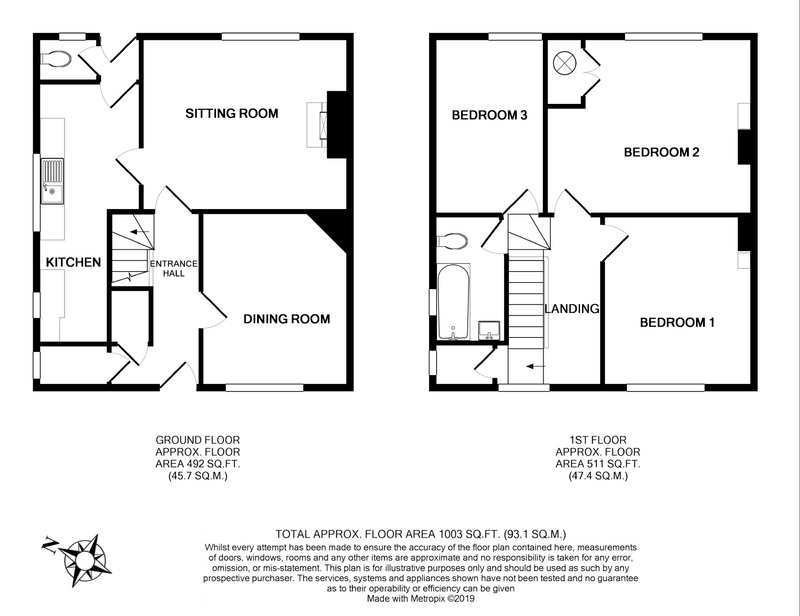 3 piece suite comprising: Enamelled panelled bath with electric shower above, wall mounted wash hand basin, low level W.C., radiator, ceiling light point, obscured glazed window to the side. Property is offset by privet hedging with lawned front garden. Double gates to private driveway with additional lawn to the side. Generous level lawned garden to rear with storage sheds and Magnolia tree. Council Tax Band C (Powys County Council) Website enquiry only. From our Welshpool Office follow the one way system in the right hand lane passing Sainsburys Supermarket on the right hand side. Take the left lane passing the library and up Church Bank into Salop Road. After the mini island at the Applegreen petrol filling station, turn left into Erw Wen where the property is then on the right identified by our for sale board.